Panorama, Canada is a small, quiet, car-free village just 2 hours drive from Banff. Panorama is spilt into two villages, the "upper village" which is set at the foot of the slopes and offers ski-in ski-out accommodation and the "lower village" which is connected by lift to the "upper village" and has a wider choice of ski accommodation. Panorama offers excellent skiing for intermediates and experts from wide cruising runs to steep bowls. A vast majority of Panoramaâ€™s terrain is wooded. Experts will be kept entertained on weekâ€™s skiing holiday to Panorama with a number of challenging black runs and the â€œExtreme Dream Zoneâ€ which is made up of steep trails, cliffs and trees. Intermediates looking for adventure will enjoy Panoramaâ€™s range of blacks and blue runs. Snowboarders are also well catered for with long runs to practice on and tree runs for the experts, only warning note the nursery slopes in Panorama are serviced by drag-lifts. Panorama, also has two terrain parks with the full range of rails, half pipes, kickers and more. 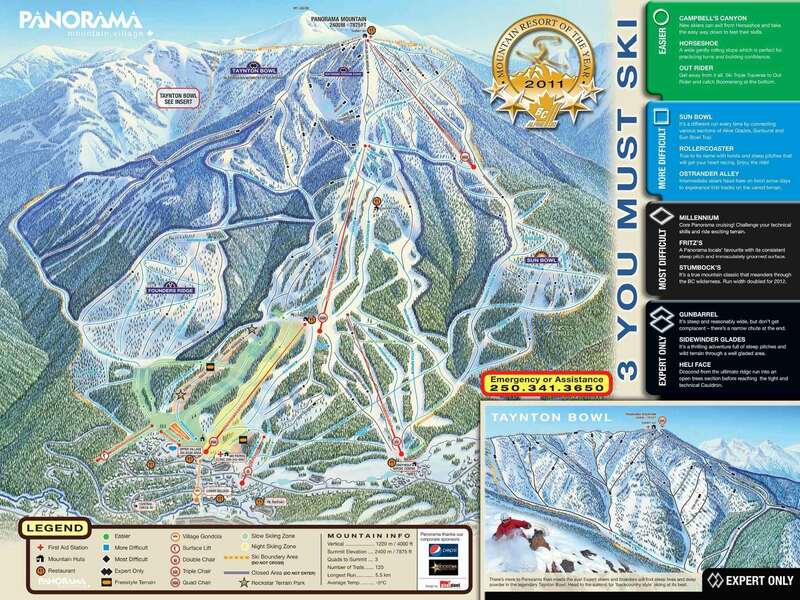 Panorama, Canada offers night-skiing/boarding and free tours of the area twice daily.